Phenomenal Thriller-- It'll Keep You Up Reading Late at Night! 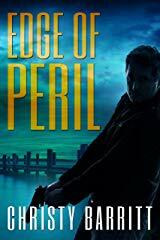 The Edge of Peril by Christy Barritt is book 1 in the Fog Lake Mysteries series. 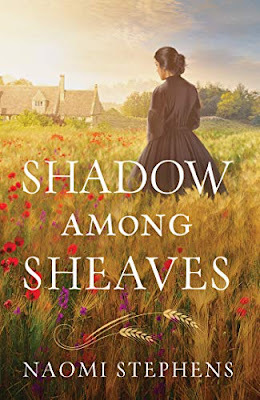 I have long been a fan of this author and her fun mysteries with interesting plots and realistic characters. This book sets her apart on another level altogether as a writer of thrillers. Meet Fog Lake-- a place with weather as chilling and mysterious as the events that lead to one death after another. Harper is safe working as a reporter far from this place. But when she hears of the murders taking place, she thinks she knows who it is and goes to Fog Lake only to face her deepest fears. Don't start this book until you have time to read it all in one sitting, because trust me, you will want to do that. I highly recommend this book to anyone who loves a good mystery or thriller. It will grab you quickly and will not let you go. I cannot wait for the next book in this series!! I received a digital copy of this book from the author with no obligations and would have purchased it regardless. These opinions are entirely my own.